Whether your home is experiencing structural damage from foundation settlement, hydrostatic pressure, soil washout, frost, or some other force, Saber Foundation Repair has the products that you need to permanently solve your problem and restore value to your home. If you need concrete foundation repair services, we're happy to meet with you to discuss how our products can solve your problem. We inspect your damaged areas, identify the causes, and create a written proposal that outlines all work to be done. If you would like a free foundation repair quote for your home, call us today at 1-877-203-4601 or click below. We offer all our services in Long Beach, Los Angeles, San Diego and the nearby areas. As part of the international Supportworks network, Saber Foundation Repair has exclusive access to industry-leading structural repair products. Supportworks is the only manufacturer that maintains an in-house staff of both structural and geotechnical engineers. These experts focus on product design and quality, while also providing technical support to other engineers, architects, building departments, and general contractors in the field. To help you decide if our products are the best ones for you, we offer free on-site inspections and consultations. We'll help you learn what caused your unique foundation problem, which options are best for repairing the problem, and what measures will prevent future issues. To schedule your free structural repair quote, call or e-mail us today! 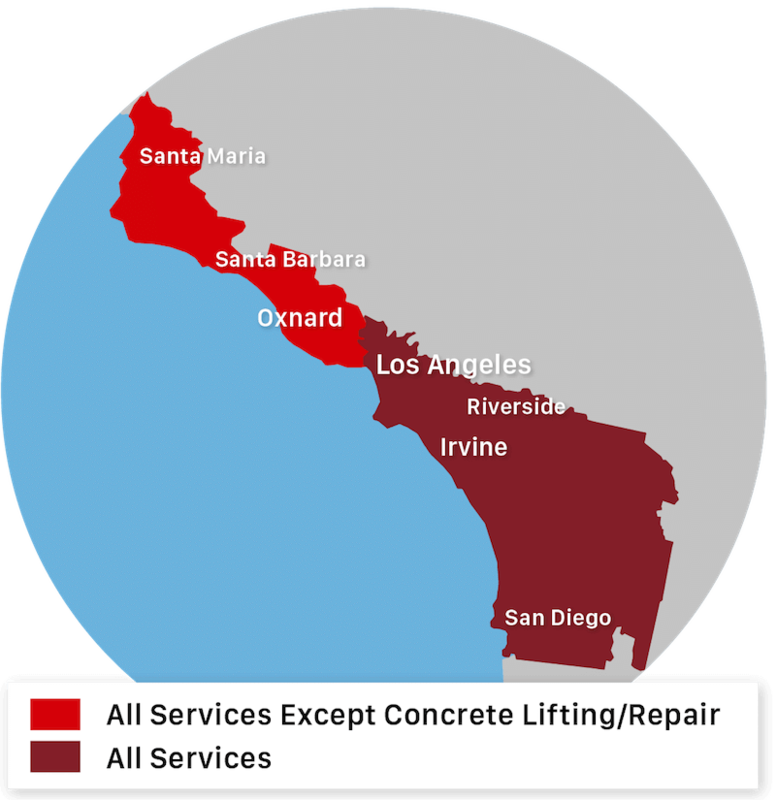 We offer quality foundation repair in Los Angeles, Long Beach, San Diego, Irvine, Anaheim, Santa Ana, Chula Vista, Huntington Beach, Oxnard, Glendale and throughout the surrounding areas.